The third day of Fortnite: Battle Royale’s Ice Storm event has introduced two more challenges, bringing the current total to six. 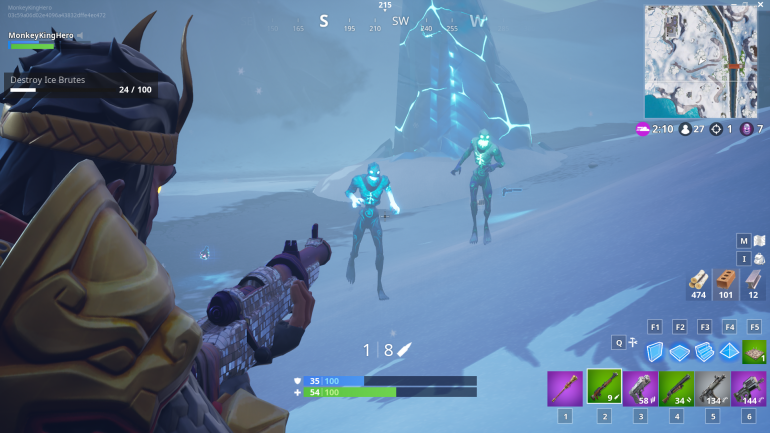 Just like the previous two days worth of challenges, Epic Games wants us to find and destroy 150 of the third zombie-like creature in the Ice Legion: Ranged Ice Fiends (or Ice Wraiths, as they’re also known). 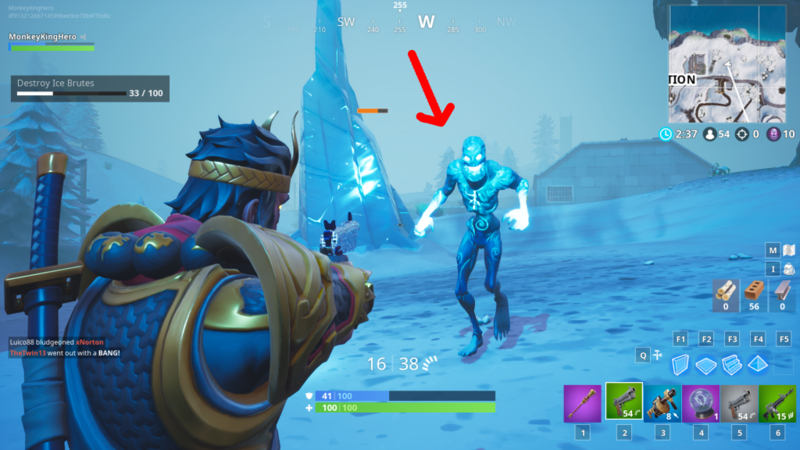 These enemies are the tall and slim version of the Ice Fiend that have glowing hands. They also throw snowballs at you from a distance as a ranged attack. Considering how the challenges have gone thus far, we can assume this and the Golden Ice Brute challenge will be the final tasks this week in which we’ll need to kill a certain amount of enemies (at least, we can hope that it is). Kill 150 of these creatures and you’ll be rewarded 500 XP. You’ll also unlock the Ice Storm Wrap today if you complete all six challenges that are already available.